How To Get Paid A Fortune For Helping Companies With Their Social Media Presence Using This Step By Step System & Software. 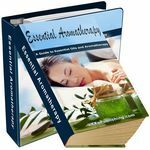 Have you always wanted to know what is aromatherapy? Here is some invaluable information on aromatherapy! 101 Facebook Tips will help the basic or intermediate Facebook user become an advanced power user in no time at all. Discover The Hidden Secrets To Writing Super-Responsive, Profit-Pulling Emails That Instantly Increase Your Sales Ten-Fold! 100% Unique Content Created by DuplicateByeBye Wordpress Plugin.